of training, including CBT, A1, A2 & A.
Tizwaz Rider Training offers a number of different training courses designed to meet the needs of anyone looking to get on a bike. The starting point for anyone wanting to ride a bike is to complete Compulsory Basic Training, CBT. The CBT is normally run over one day and takes you from complete beginer to riding on the road. Once the CBT has been completed you will be able to ride a bike of up to 125cc,with 'L' Plates,for a maximum of two years. 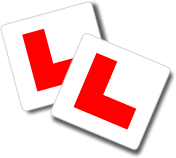 If you want to remove the 'L' Plates, or move to a larger bike, then you must pass a motorcycle theory test and a practical test. Here at Tizwaz Rider Training we can help you book your theory test, or you can book directly using this link. The theory pass certificate is valid for two years,giving you plently of time to undertake training and to get yourself ready for the practical test. For more information on the different tests please follow the links for the category you are interested in, or give us a call on 01202 510008.